Amazon.com description: Product Description: This is an extract from the 4-volume dictionary of economics, a reference book which aims to define the subject of economics today. 1300 subject entries in the complete work cover the broad themes of economic theory. 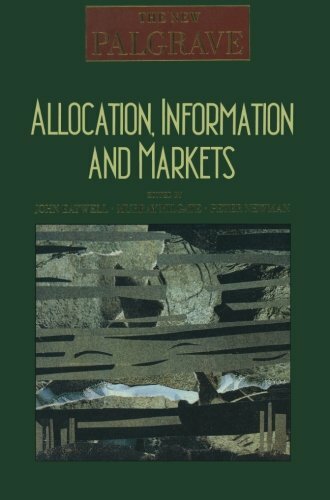 This volume concentrates on the topic of allocation information and markets.